Lock in a great price for The Monadnock Inn – rated 8.6 by recent guests! Located close to where I needed to go. Jay the manager was pleasant. The staff was so accomadating, met every need we had and beyond. We really enjoyed the pub inside, awesome atmosphere! Upon check in, the inn keeper was very welcoming and offered to assist with our bags. Breakfast was amazing as was our dinner. 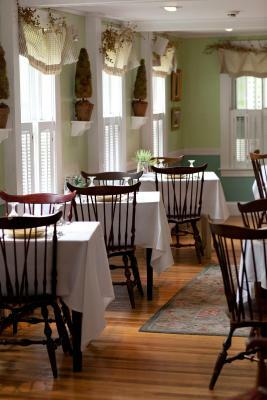 The Monadnock Inn is in a good location and has a friendly staff. It has both a restaurant and a pub which is very convenient. The place was booked so it seems like a popular spot. 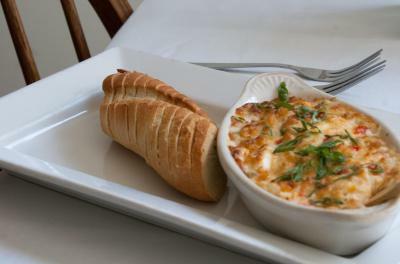 The Pub, the restaurant, the dinner, breakfast, history of the area, walkability, friendly and helpful staff!! Info sheet i recieved stated private bathroom we did not have private bathroom, had to climb over wife to get out of bed, and room was not at the inn, room was in house down the road. The bartender was a nice person. The staff were very attentive to any questions that I had during my stay. 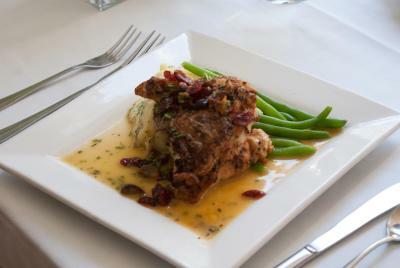 The food was delicious, and the room was clean and very comfortable. 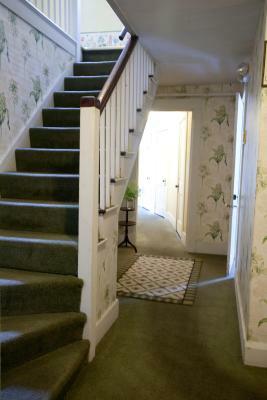 The room was spotless and all the staff were exceptionally helpful and friendly. The staff and the owner went out of their way to do what they could. Upgraded the first night, and the owner comped us the second night (twin beds) because "it wasn't what we booked". 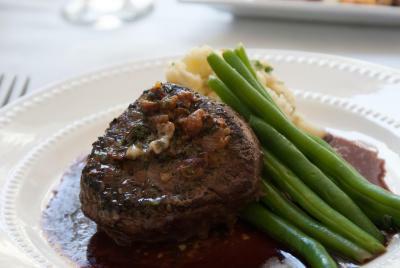 Given a mix up, they really tried to make it right, and while the room wasn't what we wanted, the food was good and the staff absolutely great. 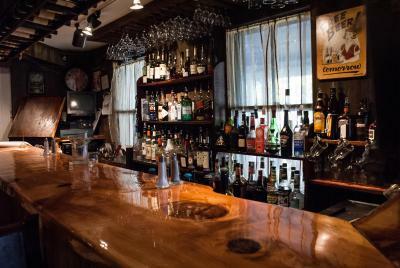 The bartender was great, friendly and comfortable setting. 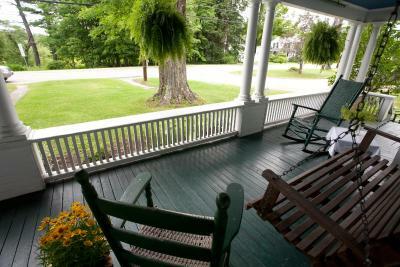 The location worked for us and we enjoyed sitting on the porch socializing with other guests. 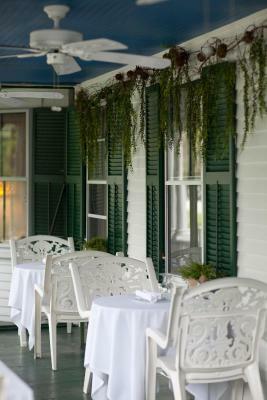 Uniquely decorated rooms and on-site dining are offered at the Monadnock Inn in Jaffrey, New Hampshire. At the base of Mt. 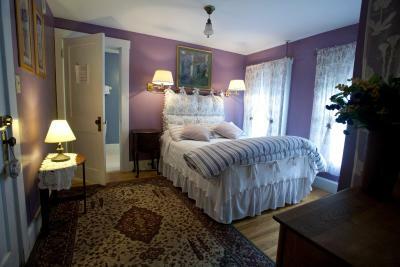 Monadnock, these accommodations are less than a 5-minute drive from East Jaffrey Historic District. 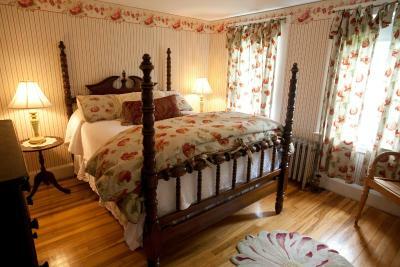 Each guest room has its own style and antique bed at The Monadnock Inn. All rooms have a private bathroom. Free Wi-Fi is included. 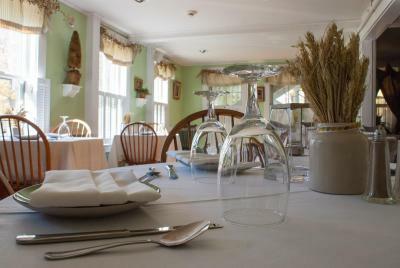 Thorndike’s Restaurant serves homemade bread and a seasonal menu. 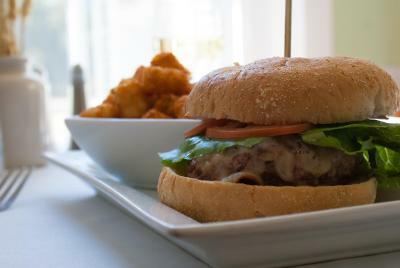 Parson’s Pub, also on site, offers contemporary dining and a casual menu. 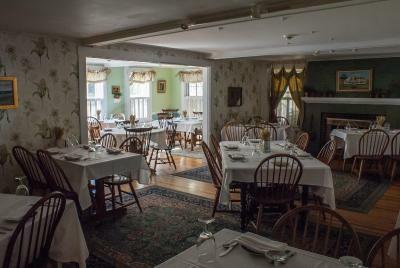 The Shattuck Golf Club is 1 miles from Jaffrey Monadnock Inn. 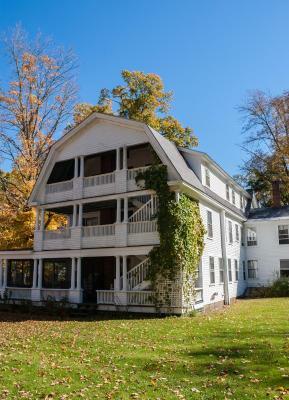 Franklin Pierce University is less than a 15-minute drive away. 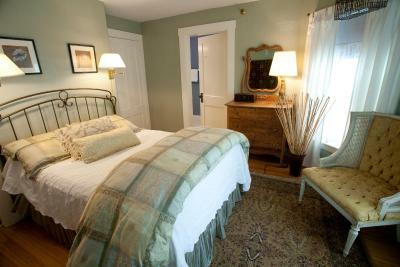 When would you like to stay at The Monadnock Inn? 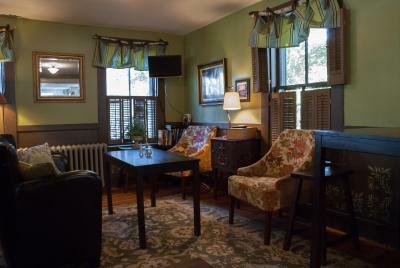 This room features a separate sitting area with a sofa bed and a cable TV. 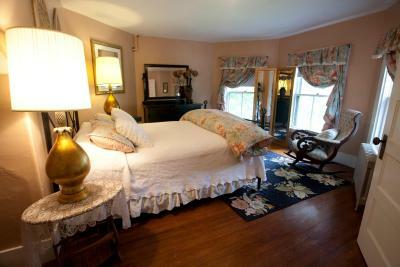 This room features many windows and private bathroom. This room features an private bathroom. 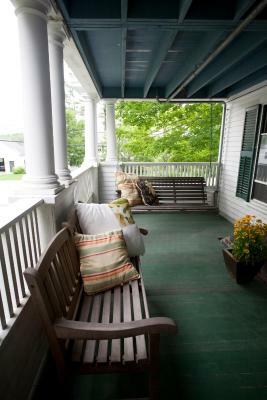 House Rules The Monadnock Inn takes special requests – add in the next step! 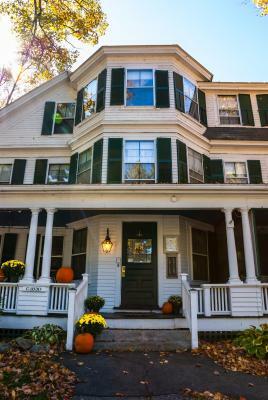 The Monadnock Inn accepts these cards and reserves the right to temporarily hold an amount prior to arrival. No elevator. The pub was not open the 2 evenings we were there. The staff were lovely. The breakfast was good. The quality has gone done. Shows from an empty dining room. Bar closes at 9 pm. Even on a holiday weekend, threw 4 guests out! The only common sitting area no longer has a coffee table. Just a couch and chair to sit. Not very inviting for an Inn. Came down for breakfast. The staff were clearing tables. Jay came over and we chatted. No one came to take my order. After about 20minutes, Jay asked if I was waiting for Brunch, as breakfast had ended. Was stunned!! One of the employees busing tables was the chef. You’d think she would have let me know breakfast was no longer being served. Poor customer service!!! This was once my “go to” Inn. Been staying here for the past 5 years. Won’t be returning. Wish the new owner all the best. The Inn is old and rundown. The room we stayed in was either too cold or too hot (mostly too cold). When we asked for heat, the room quickly became too hot. The room itself lacked sufficient attention to detail. While breakfast was included, they ran out of the frittata (one serving left), and the pancakes (one blueberry left) and the waitstaff discouraged us from ordering the third entree which was baked french toast which she said was too dry on the top. She ultimately brought us some which turned out to be just fine. Despite this somewhat negative review, we slept well and overall had a good stay. Because my bed was placed against a wall, the mattress on the free side sloped down enough to be noticeable. I attributed this to more usage of that accessible side of the bed. An easy fix would be to flip the mattress to keep it even with the other side. I am used to camping so this did not bother me - I simply slept diagonally - and had a lovely rest. Jay welcomed me at reception with such warmth that I immediately knew I'd made the right decision booking this property. 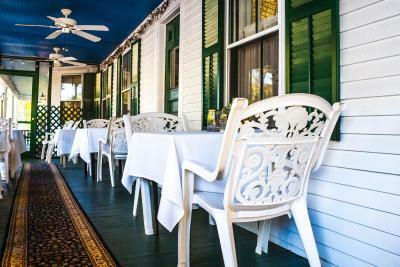 Everything was as charming as an old inn can be. It was clean right into the corners. Coming down for b'fast in my pjs was a first for me, but I was told I did the right thing, and was offered above and beyond what I had ordered. I loved the joviality in the kitchen at the early hour. Additionally, I met the nicest couple at b'fast, visiting from Florida, and our conversation started the day off RIGHT. 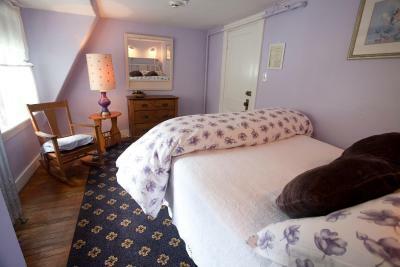 I would definitely recommend this property ~ especially after having peeked into some of the other rooms awaiting guests, and found one cozier than the next. 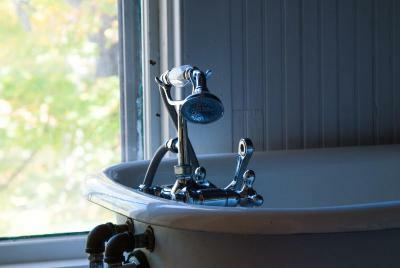 I left the window open all night (Oct) and the crisp air was refreshing ~ and the silence of nature restorative. If you are a Willa Cather fan, you are within walking distance of her grave at the Meeting House. The lobby lounge was festive ~ I did not participate as I had some reading to get to ~ but it was a cheerful ambiance that reminded me of what it must've been like, a century ago. 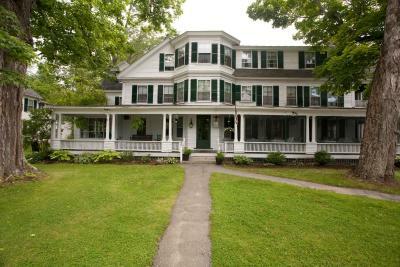 I was most graciously received and would definitely stay at the Monadnock Inn again. The only hard part was learning how to pronounce its name!! ha. Didn't realize that the room I booked with a private bathroom was across the hall and not in the room. Also only some rooms have a tv and mine didnt.. would have booked a different room in the same hotel..completely my fault not the hotel. Very small room, small bathroom (not private like i was told on paper, and our room was not located at inn, our room was at a house down the road. 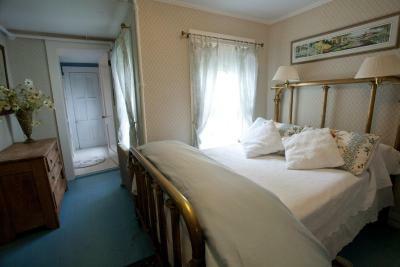 The room was a bit on the small side and because it is an old house it isn't very well soundproofed. You can hear what other people are up to but, oh well, I guess that can be considered part of the somewhat older atmosphere and feel of the house. 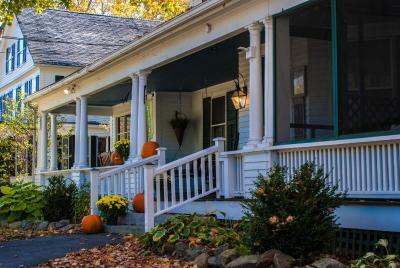 I stayed at the old cottage down the street, not in the main house. 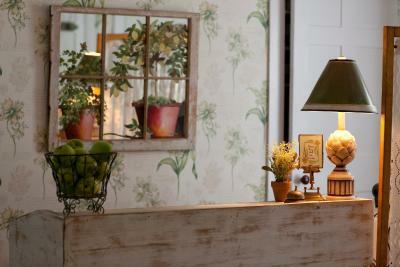 I liked the old original feel to the small house and enjoyed the coziness of the room and the downstairs sitting area. It was very comfortable, had good working Internet and a nice en-suite bathroom.